With just a click of your mouse, or a tap of your finger, any one of the five books I’ve penned could be winging their way to you with a personalised greeting inside, or a simple ‘Best Wishes’ if you want to keep your options open. Simply drop me a line via the Stay In Touch page, then select the book, or books, of your choice from the links BELOW. 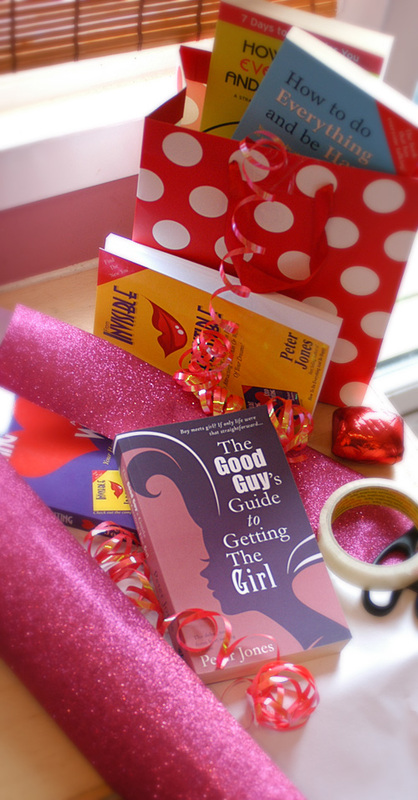 If they need a real guide to getting the girl, or guy, this is it. 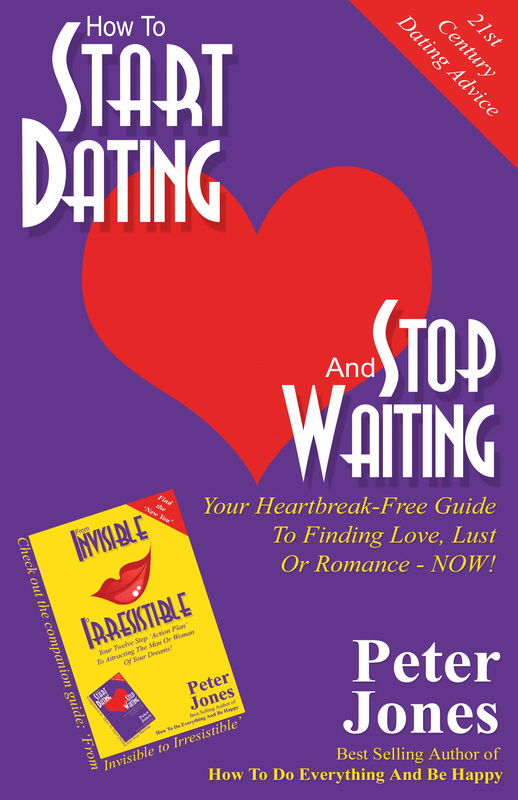 Written for everyone who’s ever found dating a challenge, dating websites to be less than fulfilling, or ‘first dates’ terrifying… How To Start Dating And Stop Waiting will help them dodge the liars, & Lotharios, and have them dating Mr or Ms Right in no time. So, in case you hadn’t noticed, things have been a tad busy round here. It was kinda momentous! Both of us have listened to Steve for more years than I care to mention – in fact there was a period in my late teens where Steve inspired me to consider pursuing a career in broadcasting. This in turn led to me torturing hospital patients in various Essex hospitals via hospital radio. If you happened to be in St John’s hospital during the late 80s, or Basildon Hospital in the early 1990s, I apologise profusely. Fortunately for everyone, I gave up on those dreams – Steve Wright on the other is still going strong. Apparently Steve was keen to get us onto the show after reading just the title, and though the interview is quite quick – just over five minutes long – we still manage to discuss the concept of the book, how hunger really works, the mysterious oil diet, Della’s fat-free cooking principles, how to survive social eating, why diets don’t work, and why making lots of small changes does. Phew! You can still listen to it again on the BBC website (or click the image below). ‘How To Eat Loads And Stay Slim’ is available, now, in three formats. Ta daaa! It is with great pleasure that I can finally show you the cover for How To Eat Loads And Stay Slim! 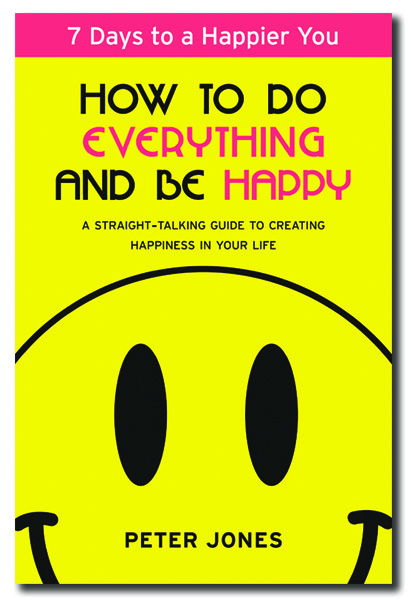 If you’re a long time reader of How To Do Everything and Be Happy this might seem oddly familiar. And so it should. 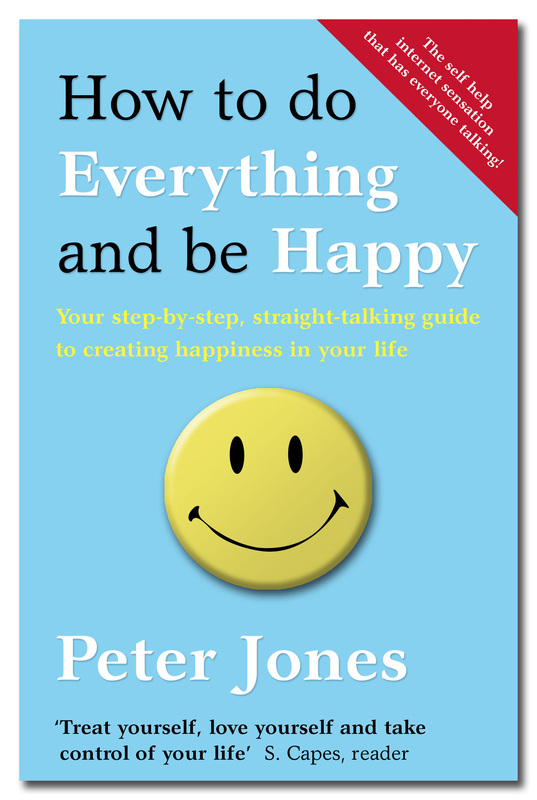 The original book jacket for ‘Happy’ was very similar – different colours, different silhouette, but the same basic layout and iconic star burst background. It proved a popular cover, but when Della and I came to think about this book there was another very good reason why it was time to dust off the old design and give it a new lease of life. Just like it’s predecessor, throughout the new book you’ll come across various ‘Action Points’. The idea is that you stop, address the action, and then continue. But where ‘Slim’ differs is that each of the Action Points has a ‘star rating’. You earn one star just for buying the book (did you spot that line of blue text along the bottom? ), and with every additional star you acquire you will steadily increase your chances of being able to eat loads AND stay slim. Collect enough stars (thirty or more would be a good target to have) and Della and I personally guarantee that a slim figure, coupled with a healthy but satiated appetite, are yours for the taking. And all you have to do to earn a star is complete an action point. Back to the cover though. Della and I can’t really take any credit for what you see before you. Both covers were designed by my good friend Ellen – who having taken our suggestions into consideration, ignored them completely and blew our socks off with the colourful creation you see today. To finish up I thought I’d share with you the following video that Ellen helped create for Sir Paul McCartney (to be played behind him and the band during the American leg of his world tour)! It basically involved locking Ellen in a room for two weeks with a huge blackboard and getting her to draw whatever came to mind to the song Ob-La-Di, Ob-La-Da, with occasional input on the phone from Sir Paul himself. The result is pretty stunning. Like I said, talented young woman. How To eat Loads and Stay Slim will be available May 2013.